Chineses smartphone manufacturer Smartisan launched the Snapdragon 845 powered Smartisan R1 phone in China a few months back. Now the company seems to be working on its another device called the Smartisan Nut R2. A new render of the alleged Nut R2 smartphone has also been leaked by Chineses technology blog QuansongKJ on its official Weibo account. 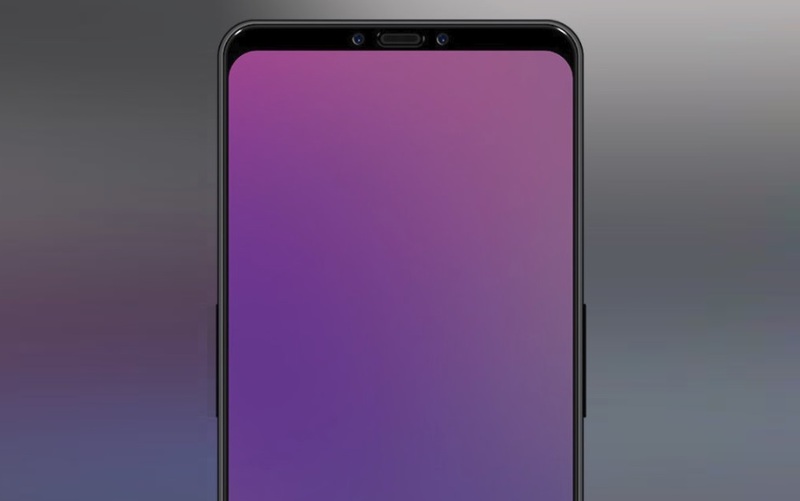 The rendered image of the alleged Smartisan Nut R2 shows a beautifully designed phone, with dual rear and front cameras and a big display with no Notch. The image shows the device to feature a dual rear camera setup with LED flash and Smartisan hammer logo. It is expected that the Smartisan Nut R2 will be a flagship device and will feature a Qualcomm’s latest Snapdragon 855 SoC. Additionally, the Smartisan Nut R2 is expected to be available in 6GB/128GB and 8GB/256GB RAM and storage variants. In the camera department, the Nut R2 will sport a dual rear camera setup with a 48-megapixel main sensor and the 20-megapixel secondary camera sensor. The device will feature a dual 12-megapixel front camera setup. According to the info obtained by Quansong Technology blog, Nut R2 could come with a starting price of 2,999 yuan, around Rs. 30,500 INR and it will be launched next in 2019, but when it’s yet known.